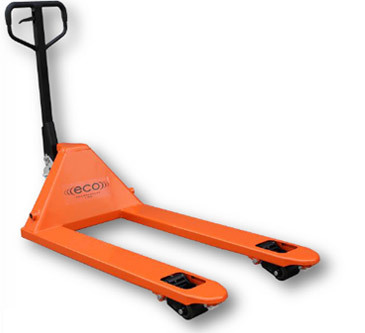 ECO I-55HSS Stainless Steel Pallet Truck - MOBILE INDUSTRIES INC. :: Material Handling Tranport, Lift and Warehouse Equipment. 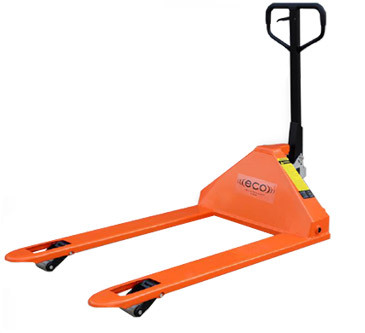 The ECO I-55HSS Stainless Steel Pallet Truck is the ideal choice for Clean-Room or Cold-Room environments, highly corrosive chemical applications, or applications where the unit requires regular wash downs. 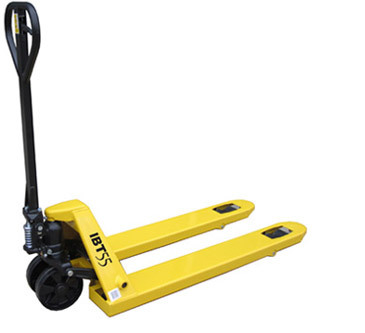 Hygienic, durable and easy to clean, the ECO I-55HSS features a 100% Stainless Steel Pump, Handle, Frame and components, and grease fittings at all pivot points for easy maintenance. 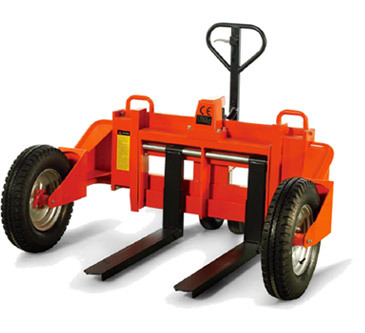 The ECO I-55HSS features an ergonomic design that reduces operator fatigue and downtime. 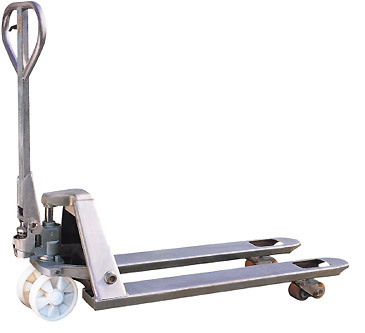 The 200 degree handle pivot provides exceptional maneuverability in compact areas and it comes with standard nylon wheels and rollers for rolling ease.